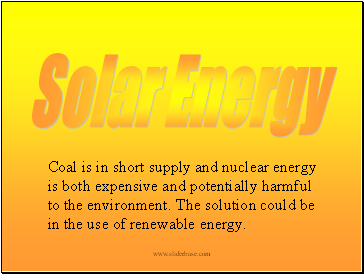 Coal is in short supply and nuclear energy is both expensive and potentially harmful to the environment. 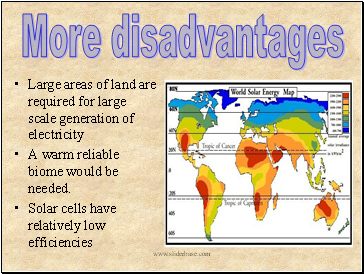 The solution could be in the use of renewable energy. No sulphur dioxide emissions to cause acid rain. 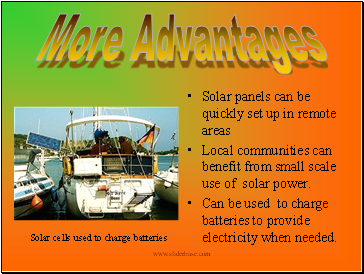 Local communities can benefit from small scale use of solar power. Can be used to charge batteries to provide electricity when needed. 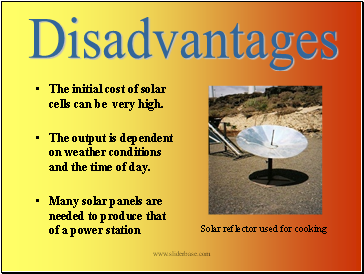 The initial cost of solar cells can be very high. 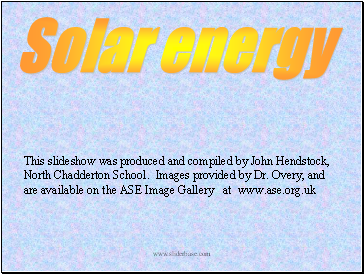 The output is dependent on weather conditions and the time of day. A warm reliable biome would be needed. 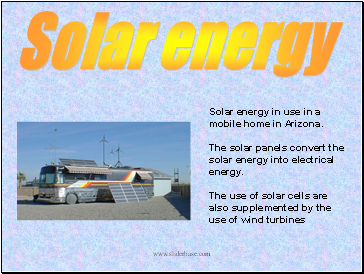 Solar energy in use in a mobile home in Arizona. 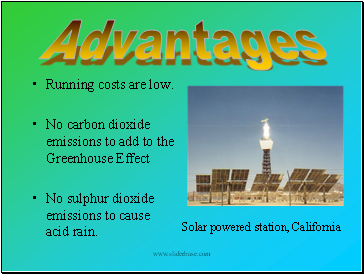 The solar panels convert the solar energy into electrical energy.